DENVER – Judy Fahrenkrog and Peter Blank, leading Broker Associates with Kentwood City Properties and the Mile Hi Modern Team, have announced the sale of a Frank Lloyd Wright-style home in Belcaro, one of Denver’s most coveted neighborhoods. Listed at $3.2 million, the newly built custom residence is the highest sale achieved to date in 2011 for the Belcaro and Bonnie Brae neighborhoods. Located at 980 S. Steele St., the home is highlighted by a spectacular gourmet chef’s kitchen that’s large enough to accommodate a party of 100, yet intimate enough for small gatherings. The built-in bar and butler’s pantry support the adjacent dining room and courtyard. The elegant main floor master suite is secluded from traffic and offers a sumptuous bath with luxurious appointments, a walk-in closet, built-in bar with sink and mini-fridge, plus an adjacent office. Upon entering the home, you are welcomed immediately to the rear terrace and yard with floor-to-ceiling windows and glass doors. A water feature and gas fire pit define this remarkable space for entertaining. The home is located on an incredible homesite with towering evergreens and natural landscaping at its finest. For more information on real estate services from Fahrenkrog and Blank, contact Judy at 303-888-4760, email judy@kentwoodcity.com, and Peter at 720-849-1956, email peter@milehimodern.com. Kentwood City Properties, formed in 1999, is the newest member of Kentwood Real Estate, known nationally as Denver’s premier real estate company. The company’s street-front office at the corner of 17th and Wynkoop streets, directly across the street from Union Station, is comprised of 50 of metro Denver’s most experienced real estate professionals serving residential buyers, sellers, and developers and commercial real estate services for buyers, sellers, landlords and tenants. For more information phone 303-820-CITY (2489), and visit online at www.kentwoodcity.com. Kentwood Real Estate is comprised of Kentwood City Properties, The Kentwood Company at Cherry Creek, and The Kentwood Company in the Denver Tech Center. 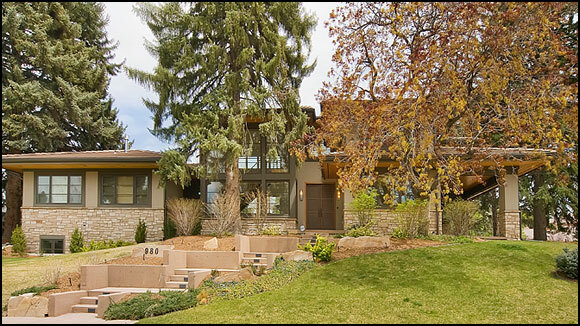 View all Kentwood listings at www.DenverRealEstate.com.